I am not a cat person. I have always been and always will be a dog person...well besides my recent phobia toward dogs who are not on leashes, but that is entirely different story for another day. Do not get me wrong, I like kittens, but once they turn into full grown cats, everything changes. You just never know what to expect with cats, they love your company one second and then the next they're scratching and hissing at you. 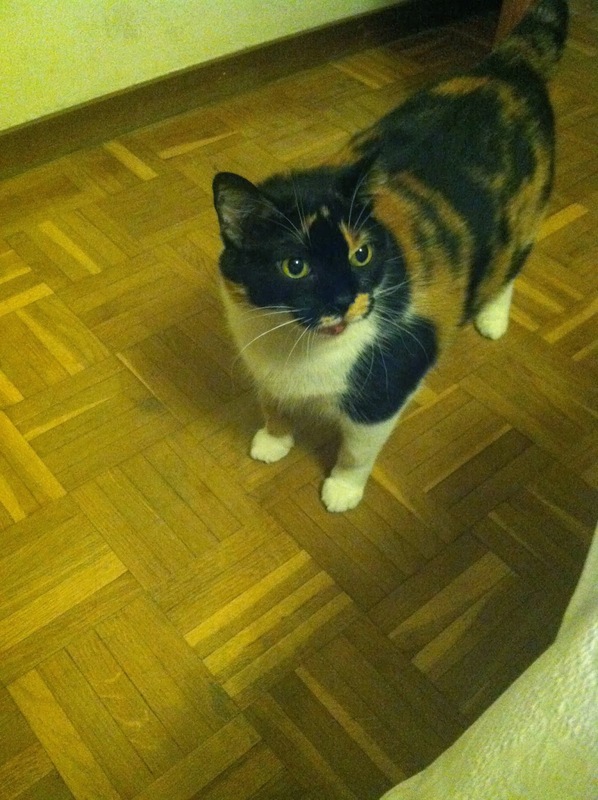 So imagine my disbelief when I walked into my new home for the next five months to see a cat walking around. Oh, great. Surprisingly enough, Nana is growing on me. I thought I would never say such a thing, especially pertaining to a cat, but she is kinda sweet...First of all, I think she is having an identity crisis because she acts like a dog. Every time you even set foot in the kitchen, Nana is right there waiting for you to give her either cat food or human food. I dropped some food on the floor the other day and she was right there to eat it up. Another time, I had to wake up early and I was eating breakfast by myself in the kitchen. I look down, and there she is, staring at me. She even tried to climb up my chair so I would give her some food. I screamed a little and petted her instead, mainly because I am scared what she will do to me if I do not give her some attention. Every night for dinner, Nana is in the kitchen meowing up a storm. That is the other thing, I have never heard a cat meow so much before especially when they are hungry. 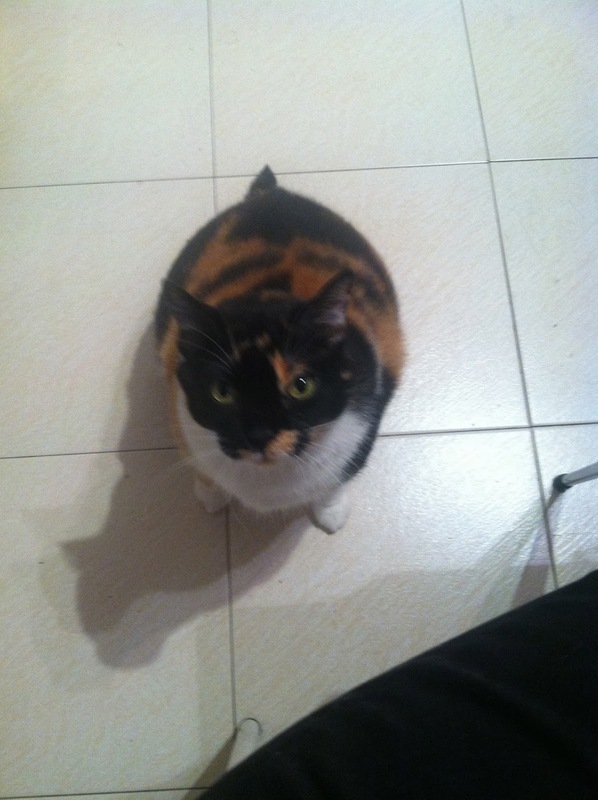 As you can see from the pictures below, her owner, Maria, gives her plenty of food. One time, Nana stopped meowing because Maria told her to stop. I also found her laying on my bed...ahem, excuse me. Overall, I am amazed at this cat. I think Nana is growing on because of the company she provides Maria and in return, she receives unconditional love. This sounds familiar... oh right... Nana is basically Maria's equivalent of my Oliver (Oliver is my beautiful golden retriever whom I love). I suppose that although I may not like cats, cats may mean a whole lot to someone else. Nana, I like you. But seriously, stay out of my room.